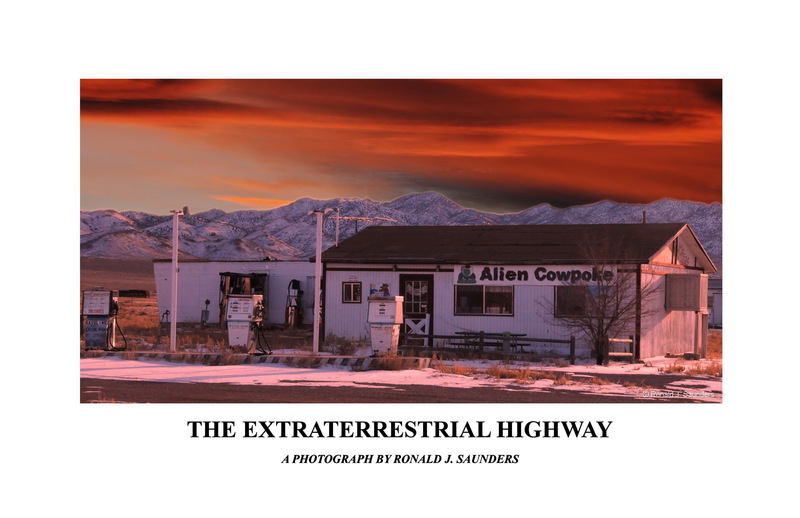 The Cowpoke Cafe at Rachel Navda is located on the Extraterrestrial Highwayy. As the closest habitation to the Nellis Air Force Range and Area 51, Rachel enjoys a modest celebrity, particularly among aviation enthusiasts and UFO hunters. Photo © copyright by Ronald J. Saunders.